While, by this point, Click Consult is no stranger to award shortlists, we’re over the moon to have four nominations come out at the end of last week for our work with Kwik Fit, Julian Charles and as an eCommerce agency! This year we’ve been nominated for ‘Large eCommerce Agency of the Year’ for the second year running (having last year taking home the gong) and ‘Best eCommerce Search/Marketing Campaign’ for our paid search campaign for high street fabric and interiors store Julian Charles. Since early 2017 the business recognised the potential of online and we have proudly assisted this from grassroots with growth from paid online advertising leading to huge retail growth. As a business they recognised that key dates throughout their calendar such as End of Season, Black Friday Weekend and the Christmas period offer great opportunities, especially to a discounted product store. It became our task to apply the best possible promotion and campaign management throughout these periods and beyond while still providing our continuous efforts for innovation and thought leadership. The Drum Content Awards is a unique beast – pitting the work we do against some of the biggest brands in the nation and world wide, so it’s a pleasure to appear for the third year running. 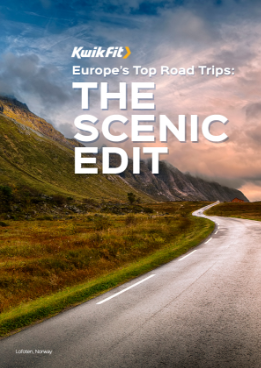 The Kwik Fit campaign has been shortlisted for both: ‘Best Travel/Leisure/Sports Content Marketing Strategy/Campaign’ and ‘Best Automotive Content Marketing Strategy/Campaign’. Average Domain Authority (DA) of new links. Not only have we managed to achieve and surpass the targets set, the client was so impressed with the work that they also briefed us with a number of short term social media campaigns during the overall campaign. With work on the campaigns including talent from throughout Click, these are special nomination for everyones – and we are delighted, if not surprised, by the quality of the results and the work produced for Kwik Fit and Julian Charles – and look forward to seeing the work appear often on future lists. To find out more about Click Consult’s award winning campaigns across the search marketing spectrum, check out our case studies section, or find help with your own work in our comprehensive library of resources. Alternatively – you can see what we could do for your brand by contacting us today! While there are innumerable factors involved in the calculation of the modern SERP, it is possible to boil them down to three themes – relevance, usefulness and authority. Paid Search is one of the most important parts of the digital mix, yet also one of the most difficult to master – for that reason, our PPC Uncovered series is a must have for marketers. The digital sphere is increasingly competitive, leaving budgets stretched; while this leaves marketers making tough choices – the choice between SEO and content marketing need not be one.